Florida's spectacular Atlantic Coast could serve as your yearly vacation retreat with a timeshare at the Plantation Beach Club at Indian River Plantation. Find timeshare resales and rentals priced up to 70% lower than retail costs today. What’s My Plantation Beach Club Timeshare Worth? Discover the way life should be along the vast stretches of beach on Florida's Atlantic Coast. The Plantation Beach Club at Indian River Plantation Resort provides a beachside escape for anyone looking to spend their trips basking in the sun and surf. Spend time lounging down by the resort's heated swimming pool, or relax in the whirlpool spa and sauna. Visit the resort's 18-hole golf course for a day out on the links, or head to the aqua driving range with a bucket of balls for some afternoon fun. The resort also includes over a dozen tennis courts, a fitness center, and more for you to truly enjoy your Florida trip. Accommodations at the resort are split between one and two bedroom suites that were specially designed to accommodate you comfortably. Ideal for couples seeking a romantic beachside escape, or for families looking for a summer vacation, the spacious timeshare suites at the Indian River Plantation incorporate homelike features and modern furnishings to ensure a comfortable stay. Cook meals in your fully-equipped kitchen or lounge on your own private balcony. You'll also have access to amenities like your own laundry machines, making sure you won't have to go out of your way to enjoy the conveniences of home while you're on your trip. Are you ready to lock down your dream Florida accommodations? 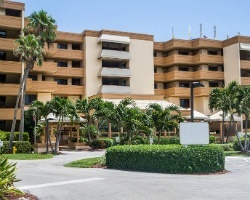 Fill out the form on this page or call a representative at 1-877-815-4227 to learn more about owning a timeshare at the Plantation Beach Club in Stuart. 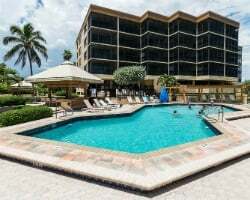 Owning a timeshare at the Plantation Beach Club in Stuart will provide you with years of great vacations to Florida, each one packed full with exclusive owner benefits to enjoy. However, buying that timeshare on the resale market can provide you with the same great ownership options for thousands less. Because timeshare resales are sold by people and not the resort itself, prices for ownership intervals are often much lower. You can find timeshare ownership suites at the Indian River Plantation for prices up to 70% off retail, allowing you to save money and find the timeshare unit you want. Timeshare resales at the resort are available in both deeded fixed and floating timeshare weeks. You'll be able to choose which ownership interval is right for you, allowing you to find a timeshare that suits your needs without having to settle. Resales are also available at a number of different price points spread throughout Hilton's Silver, Gold, and Platinum seasons. What's more, you could use your resale ownership at the Plantation Beach Club to unlock more exclusive vacation perks through the Hilton Grand Vacations Club. The Plantation Beach Club at Indian River Plantation is affiliated with Hilton Grand Vacations Club. As a resale owner, you'll have the chance to take advantage of some of HGVC's best benefits. For example, you can convert your timeshare week into HGVC points to make the reservation and vacation planning process easier. You can also convert unused points into HHonors rewards to redeem extras and bonuses. Finally, you can explore other amazing destinations by spending your points on vacations to other Hilton resorts. 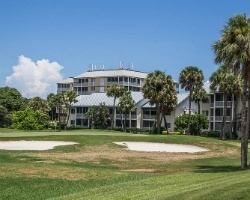 The Indian River Plantation Resort is also affiliated with RCI, the world's largest timeshare exchange brand. Exchanging your timeshare can be a great way to squeeze the most out of your resale. Simply deposit your Florida accommodations into the RCI network, and choose to vacation at one of 8,000 other affiliated resorts around the globe. Furthermore, the Plantation Beach Club at Indian River Plantation resort is a Gold Crown-rated resort, meaning you'll likely be able to exchange for stays at other high-quality resorts and elite properties. The vacation of a lifetime is yours each and every year with the incredibly convenient and thoughtful amenities at the Plantation Beach Club at Indian River Plantation Resort. The resort's swimming complex includes a heated outdoor pool with a whirlpool spa. You can also unwind in the on-site sauna for the ultimate relaxation. Rent watersports equipment for days of swimming and surfing, or opt to hit the links instead at the resort's golf course. Utilize the resort's shuttle to get to and from different on-property locations, or stay active at one of thirteen tennis courts. Nearby, the area of Stuart, Florida puts you in a prime position to discover the area's best attractions. 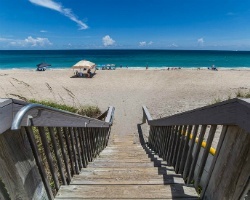 Stroll the beaches along the barrier island by the Plantation Beach Club, or venture out to other locations like Port St. Lucie for more things to do and see. Head to Lake Okeechobee for great fishing, or southward to the Palm Beach area for fantastic beaches, amazing restaurants, and so much more. Already Own at Plantation Beach Club at Indian River Plantation Resort?